Oh my, Arthur, what a rather large dragon you have. Entertainment Weekly has a first look at concept art of Arthur’s mount of choice in the movie, a big upgrade his previously trusted steed Storm the Seahorse. Because seahorses aren’t for big, beefy men like Arthur Curry, who swims around shirtless and stabs things with tridents in the manliest of fashions. No; such men, they get giant, hulking, sea dragons! See, told you they were compensating for something, and it just so happens that that something is Superfriends. And to be fair, it is a very cool-looking sea beastie. 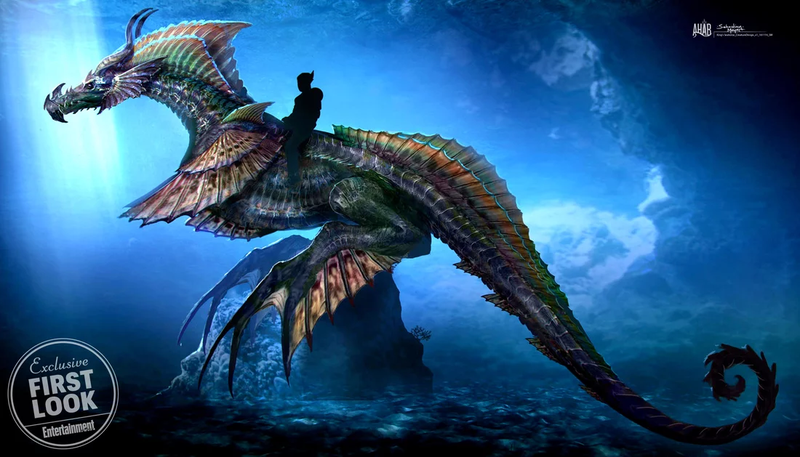 We’ll likely see some more sea dragons action this week, when Aquaman crashes into San Diego Comic-Con this Friday, ahead of the movie’s theatrical release on December 21.